We are pleased to announce our summer workshops! We can’t wait. It’s going to be so much fun. Get ready to hang out at the castle with Princesses Aurora, Anna and Elsa. Details and registration are below. Students will sing, dance and enjoy themed crafts and activities as they prepare for a production of Disney’s Sleeping Beauty Kids. 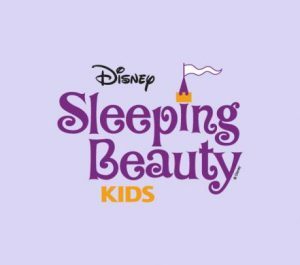 Based on one of the most treasured Disney animated films of all time, and featuring some of the world’s most memorable songs, Disney’s Sleeping Beauty Kids is pure, delightful fun. It’s Princess Aurora’s sixteenth birthday, and three fairies – Flora, Fauna and Merryweather – must use their magic to save her from the spell of the evil sorceress, Maleficent! The fairies ensure that Aurora only falls into a deep sleep that can be ended with a kiss from her betrothed, Prince Phillip. To prevent Phillip from rescuing Aurora, Maleficent kidnaps and imprisons him. The good fairies are the last hope to free Phillip so that he can awaken Aurora. Students will develop singing, dancing and acting skills as they audition, rehearse and perform a production of Frozen JR.The enchanting modern classic from Disney is ready for your Broadway Junior stars! 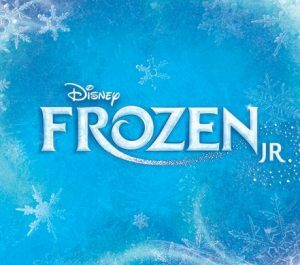 Frozen JR. is based on the 2018 Broadway musical, and brings Elsa, Anna, and the magical land of Arendelle to life onstage. A story of true love and acceptance between sisters, Frozen JR. expands upon the emotional relationship and journey between Princesses Anna and Elsa. When faced with danger, the two discover their hidden potential and the powerful bond of sisterhood. With a cast of beloved characters and loaded with magic, adventure, and plenty of humor, Frozen JR. is sure to thaw even the coldest heart! Final Shows will be presented at The Warehouse at E-street. Online ticket information will be available soon. Special thanks to our sponsors for making these shows possible.